These scripture cards are free and are designed to assist you in applying God’s Word to your past and allow Him to wipe away every tear. They include God’s promises in the areas of missed opportunities, past sins, broken relationships and the loss of loved ones. 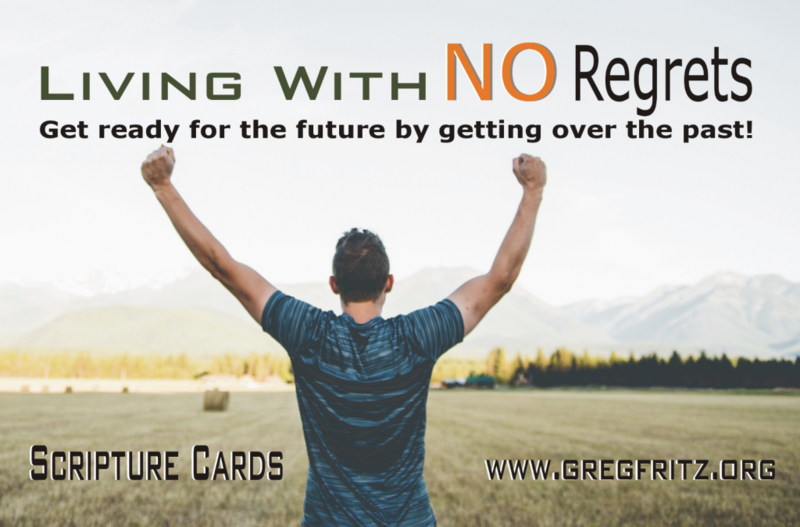 Request your free “No Regrets” scripture cards today! * Get ready for the future by getting over the past! If you would also like to receive our encouraging emails, please enter your email address. * Sorry, but this free offer can only be extended to those living in the United States.